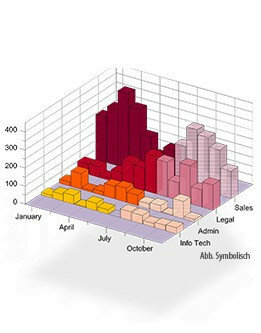 Grapher is the ultimate technical graphing package available. Discover how this powerful, easy-to-use, dynamic program will help you create superior publication-quality professional graphs in minutes! Wow your audience every time they see your graphs. Create one of more than 70 unique graph types. Create 2D or 3D line, scatter, function, class scatter, bubble, step, vector, bar charts, and floating bar chart graphs. Create line, scatter, function, class scatter, vector, bar, rose, wind rose, and radar polar plots. Create line, scatter, class scatter, or bubble ternary diagrams. Display high-low-close, candlestick, or stiff diagram specialty plots. Create statistical graphs including box-whisker plots, 2D and 3D histograms, 2D and 3D pie charts, 2D and 3D doughnut plots, Q-Q plots, and normal Q-Q plots. Create contour and surface plots from data, grids, or functions. Virtually all aspects of the graph, axes, legend, and plot can be customized to display your data exactly the way you want. Scientists, engineers, geologists, biologists, researchers, business professionals, and anyone needing to graphically display data and more.